Friends of Ecclesall Woods, or FEW, was founded in 1993. It was among the earliest ‘Friends’ groups to be set up in Sheffield. The object from the beginning was to investigate and protect the Woods, and to pass on the knowledge we found. FEW work closely with the Council’s Parks and Countryside service to undertake regular maintenance and deliver larger projects. Read our Constitution to learn about the organisation’s formal structure. If you are a regular user of Ecclesall Woods, please show your support by joining us. FEW membership costs £10 per household, per year, and this money supports all the activities that we undertake. 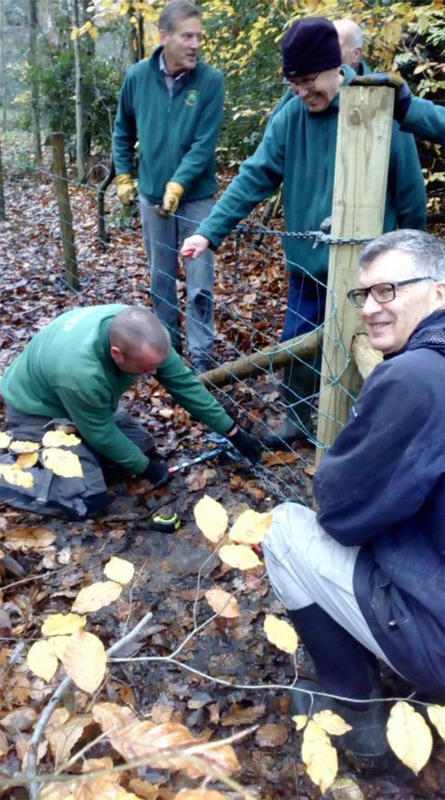 Some members are highly active in these groups, however others join Friends of Ecclesall Woods because they wish to support our aims rather than actively participate in projects. The Committee is made up of the Chairman, Membership Secretary, Treasurer, representatives of the three groups, and others to put forward a general view. At the moment the Committee is looking for further members and please do get in touch if you would like to take on a role. FEW applies for, and often gets, grants for defined tasks in the woods. See the separate groups for more information. We also publish a newsletter, organise events in the woods and host talks during autumn and winter evenings. If you are interested in learning more about Sheffield’s industrial past then pay a visit to the excellent Abbeydale Industrial Hamlet. Other good sources of local information include: Beauchief Environment Group, Friends of Millhouses Park and Friends of Porter Valley.